Nice choice. Looks like it's in great shape for 13 years old. When I was looking around last year, I almost bought one of these. 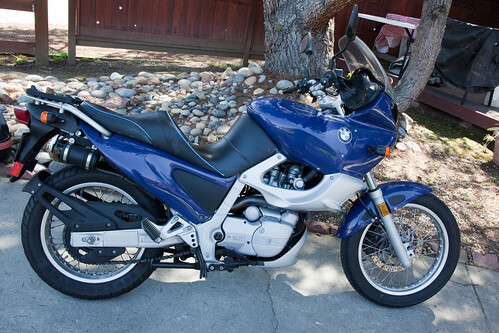 I decided on a Suzuki V-strom instead which has a similar riding position. Rode it around for a few months then sold it for $400 less than I paid for it, killing off my motorcycle jones fairly cheaply. Enjoy it, and ride carefully.